The film is about a family which comprises of a brother (Satyaraj) and his six sisters who live in Vijayawada. All the family members got separated and are living separately due to some reasons. Ajay (Mahesh Babu), the son of the brother, unites all of them along with her sister in laws (Samatha, Kajal Aggarwal, and Pranitha). How he reunites all is the central part of the story. The audience agreed to the fact that Brahmotsavam is based on a tried and tested story that always works. The similar types of stories have already been seen in Tollywood. However, the direction of Srikanth Addala brings some uniqueness to it and makes it a perfect family entertainer. It also has some sequences full of romance, comedy, and sentiments which are enough to keep the audience intact at their seats and make them watch the film continuously. But the slow and dragging narration spoils the fun at times. Mahesh has played a unique role in it delivering a never seen before the performance. It is one of the highlights of the movie. The three leading ladies have done justice to their significant roles. It also stars Naresh, Sathyaraj, Jayasudha, Revathi, Rao Ramesh, Tanikella Bharani, and others. They have been important parts of the film. Made on a big budget of Rs. 75 crores, Brahmotsavam is produced by Prasad V Potluri under the banner of PVP Cinema. Rich production values and visuals are easily seen from time to time. They are a visual treat for the fans. Mickey J Meyer has composed the soothing music, and the roles of R Rathnavelu in the picture department, selection of locations, art directions on the technical front have been a major asset to the film. Below are some of the selected reviews of Brahmotsavam taken from the social media especially Twitter. Read them and share yours. Have you watched the movie? 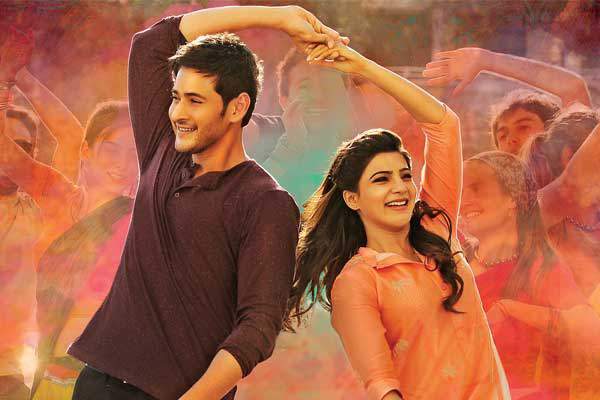 What’s your Brahmotsavam review? Don’t forget to share. Stay tuned for latest Tollywood news and updates.